This website was created to keep an innocent man from being put to death by the state of Texas. This website is for my friend, Christopher Coleman, who is currently incarcerated on Texas Death Row. He is facing his final appeal and desperately needs assistance to fight for his life. Christopher is innocent of the crime which put him on death row and there is ample evidence which proves this. At the very least it provides "reasonable doubt". I will try to post as many legal documents as possible which show that Christopher did not receive a fair trial and that the State's witnesses were coerced, threatened, and conjoled into changing their testimony. Christopher has never had quality legal representation because he cannot afford to hire an attorney and must rely on public defenders, which are at best subpar. They are over worked, under paid and often not qualified to handle capital murder cases. This was surely true in Christopher's case because the facts and the evidence are on his side. It is urgent that Christopher get's competant legal representation during this, his final appeal. It is my hope that this website will reach people willing and able to help Christopher in the fight to save his life. Thank you for visiting this site. If you have any questions or comments about anything, please go to the Contact Us page for a link to our e-mail. Please click here to read the letter I received from Christopher which prompted me to create this website as it will give you a better understanding of the situation. Who: This page has Christopher's vital stats and an essay written by Christopher. What and When: This page describes the events that landed Christopher on Texas Death Row in his own words. Where: This page describes Christopher's current residence. (Death Row/ Livingston, TX) Includes photos and links. Why: This page lists several reasons why you should help Christopher in his fight for justice. How You Can Help: This page tells how YOU can help Christopher with his fight for justice. * NEW! * A Mother's Plea From Cora Coleman, Christopher's mother. Legal Documents and Info: This page has links to various legal documents which support Christopher's claim of innocence. Death Penalty Facts, Figures, and Misc Info: This page has various statistics and facts about the death penalty including charts, graphs, and photos. An Insider's View: This page features writings and poems by Christopher telling what it's like to live on death row. Click Here to view drawings by Christopher. Contact Us: This page has our contact information for any questions or comments you may have. Links: The links have moved from the Contact page to their own page. 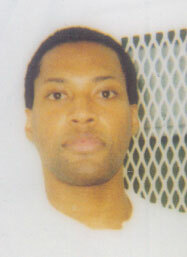 Other deathrow inmates web pages have been added! 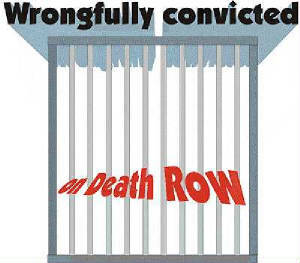 Petition Page: This page contains on line petitions dealing with death penalty and Texas Death Row issues. Please sign these and e-mail them to your friends! ACTION ALERT! Tell Texas Gov Rick Perry and other elected officials that problems in the Houston crime lab require a moratorium to executions. Prison Talk-*ONLINE FORUM/DISCUSSION BOARD* A great source of support and inspiration! Special thanks to Our Row of Friends and CCADP for thier support and for all of the hard work they do to fight against the death penalty in the United States! Please sign the guest book below so Christopher knows that you visited!